Congratulations to the Middlebury Institute of International Studies at Monterey for taking the top spot for the second year in a row! Congratulations to MIIS for taking first place in this year’s business for a better world case competition. 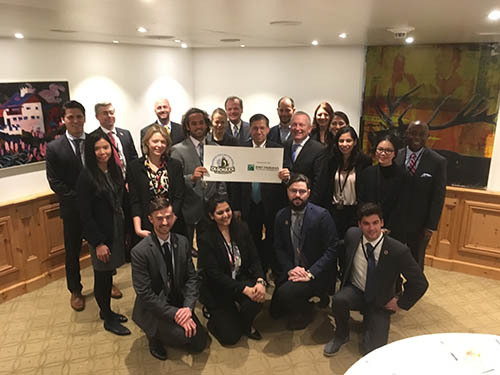 This year, team were challenged to develop a new and actionable idea that will enable meaningful investment in the United Nations’ Sustainable Development Goals while creating new growth opportunities for BNP Paribas CIB division. The full case details are now available here. A team from McGill University came second and the University of Laval came second place. This year 28 teams participated from 3 continents. Check out the full press release here. The Business for a Better World Case Competition, is an international contest now going into its sixth year, is a partnership between Corporate Knights, the company for clean capitalism, and the Schulich School of Business at York University in Toronto. With a prize pool of $10,000, the final round of this MBA competition will see three top teams present their case analysis in front of a live panel of high-profile judges in Davos, Switzerland, coinciding with the World Economic Forum in January. Want to participate next year? Follow @CKSchulich for updates and check back on this page in July 2018.